I consider myself a syncretic Heathen. I'm very new to Heathenry: I'm still reading my primary sources, and a lot of people's blog posts, books, and dissertations. I'm still finding out where and how I can build a religious practice into my life, after about a decade of simply not bothering to have one at all, and I am in many cases getting in my own way more than anyone else is. Question: Why did Loki contrive to kill Baldr? Answer 1: He didn't. You read the wrong source. Answer 6: It's a long con he's running with Odin. Answer 7: Some or all of the above simultaneously. Given that the lore simply doesn't comment on the subject, there literally isn't a "canonical" answer to this question: it's one of many, many questions which the practitioners will simply have to come to grips with on their own terms. Heathen holidays, traditional folk practices, forms of magic or divination, and in many cases ritual structure are likewise murky subjects, the research of which is complicated by a decades-long process of "disguised" syncretism-- folding the elements of other, more thoroughly developed religious systems into Heathenry without admitting that it's been done, in some cases presenting their results as genuine unaltered Heathen material, and thus complicating the efforts of everyone else moving forward. I've noticed in particular a tendency to find traditionally Wiccan concepts folded and meshed into modern Heathenry. I don't have a problem with syncretizing Wicca and Heathenry-- I think syncretism is actually a critical part of practicing, rather than merely studying Heathenry, for the aforesaid reasons-- but Wicca has always felt, for my purposes, like an ill-fitting glove. It might suffice in an absolute emergency, but I wouldn't wear it any longer than I had to, and I'd feel uncomfortable for every necessary minute of it. Which means that frequently I'll be doing some research on an aspect of Heathenry, only to discover several hours of study later that what I'm looking at is, functionally, a Wiccan ritual with Norse names find/replaced into it. If it had been clear at the beginning that the material was a Wiccan syncretism, I could have skimmed it for whatever was useful and moved on much faster. There's a lot of syncretism between Heathen and Celtic lore, which is at least in some part due to the historical contact between these ancestral groups. 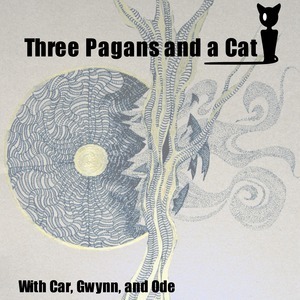 Of course, modern Celtic religion also experiences a lot of this undisclosed Wiccan syncretism, but that's because Wicca borrows heavily from Celtic lore as one it's source points (alongside Hellenic and Ancient Egyptian). I've also encountered occasional references to correlations between Heathen mythological elements and Vedic mythological elements, presumably as a result of the shared proto-language group between these (and other) cultural groups. Syncretism with Vedic religion (and Slavic, Persian, Hellenic, etc.) is thus very probably practical. It's worth pointing out that although syncretism is probably more necessary for modern Heathenry due to the nature of the reconstruction process, it isn't as though our ancestors were disinclined to syncretism of their own. (And perhaps more to the point: they probably didn't think of its as syncretism, and may not have thought of it as religion at all. Religion as we process it in the modern world-- a distinct and identifiable thing about oneself-- is a relatively new concept which (inasmuch as I have been able to tell) derives from Christianity. Mostly, what we call the religion of our ancestors was just... you know, being alive and part of a community. Sometimes your neighbor was just a jerk, sometimes your neighbor had cursed you-- in either case you would have to deal with it somehow.) I've read some scholarship which links what remains of Norse trance/journeying practices like seidr to syncretism with Saami shamanism. The idea of a pure or uncorrupted Heathen tradition having ever existed in the form fondly imagined by some modern Heathens is likely born of the same dissatisfied hypothetical nostalgia that causes people who weren't alive in the 1950s to imagine that it was a golden age they would thrive in. And of course: no religion is a static, unalterable thing. (No thing is static or unalterable.) If the Norse and Germanic people hadn't been converted (forcibly or otherwise) between then and now, the religions we now group together under Heathenry would have evolved and adjusted to the changes brought about by time. As they did not persist in an unbroken line, we are left with the responsibility to perform these necessary adjustments ourselves. That can feel uncomfortable or disingenuous, I think because many people come to Heathenry from more established, organized religions where that kind of personal syncretism and theological work is not considered appropriate for the layperson. This is understandable, but ultimately silly-- the layperson is practicing the religion, so any work they do in tending, growing, and pruning it as necessary for their own practice is perfectly fair. The appeal of authority notwithstanding, if your religion doesn't work, what's the point of it? Syncretic Heathenry is messy and complicated. It's a lot of work, and there's only so much of it that can be offloaded to an authority or another layperson-- at the end of the day, you have to build your own religion. But when the work is done, when it functions as intended, it is also beautiful. Form follows, after all.